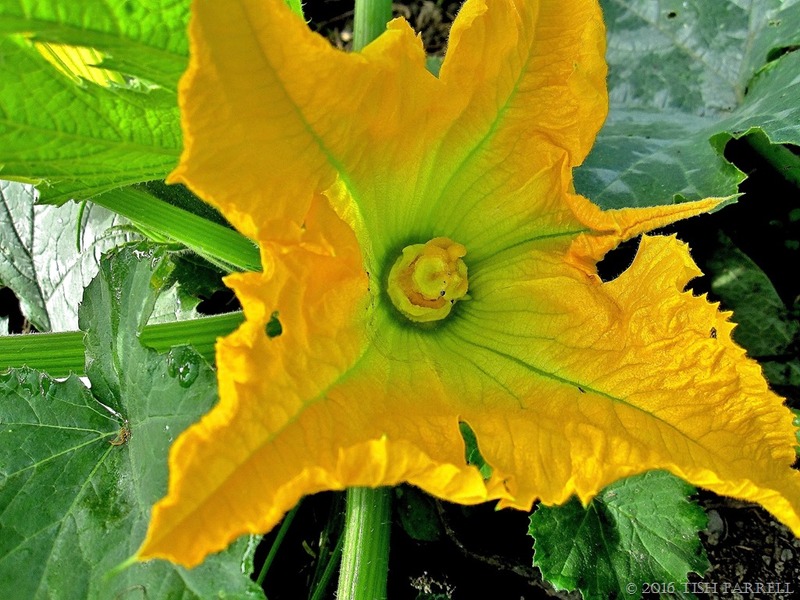 Never Mind Van Gogh’s Sunflowers: How About A Courgette? Or Maybe Even a Blooming Potato? 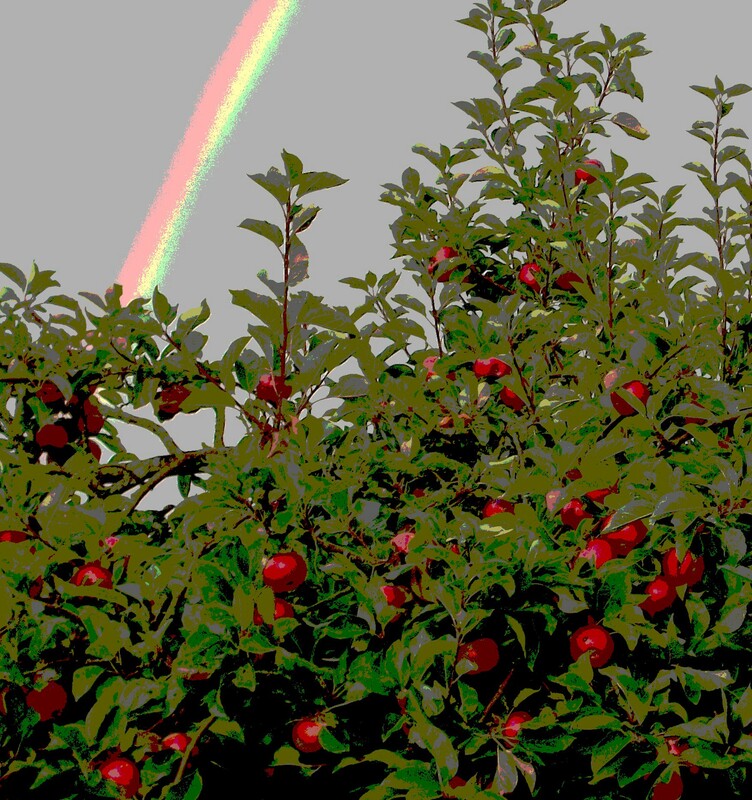 During the recent heat wave I managed to get myself across the field and to the allotment by 7.30 a.m. 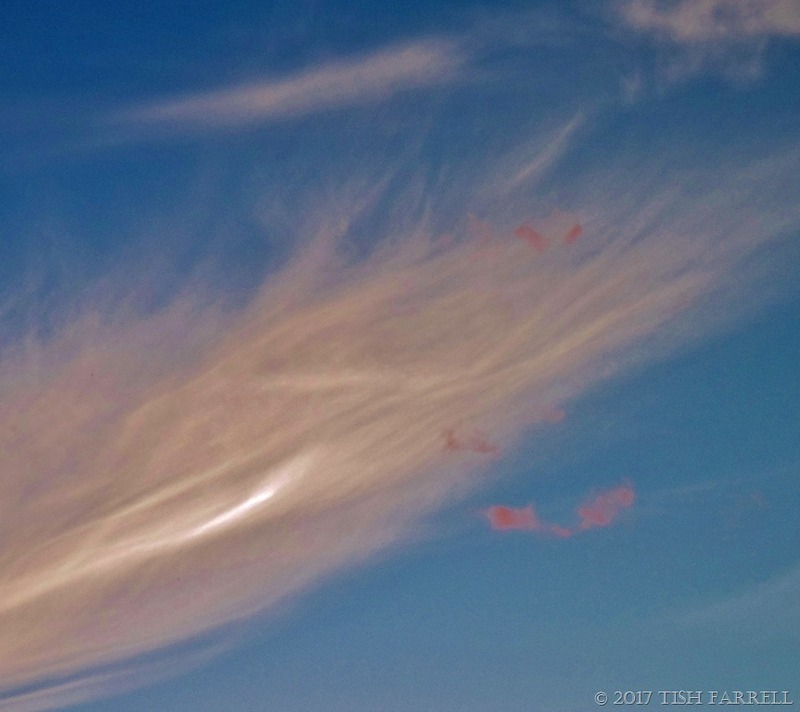 It was wonderful up there – full of birdsong and humming bugs and bees. (Note to self: must do this more often). 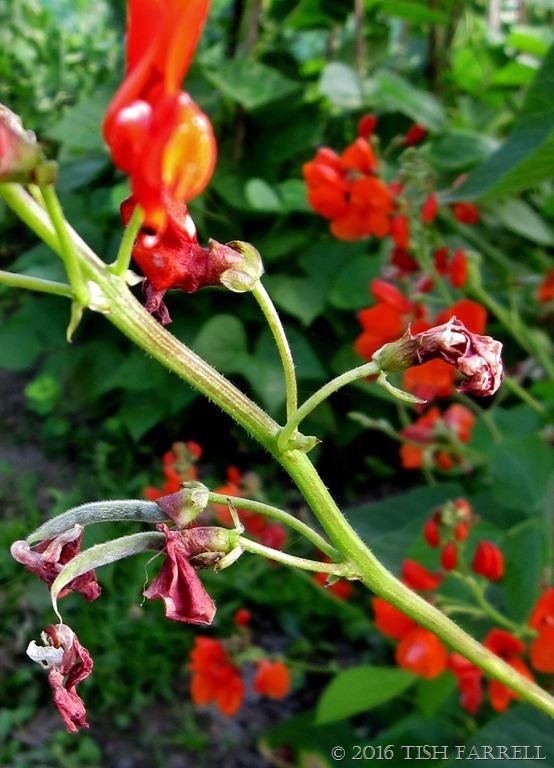 All the vegetables were flowering full blast, and so instead of watering and weeding, I started taking photos. 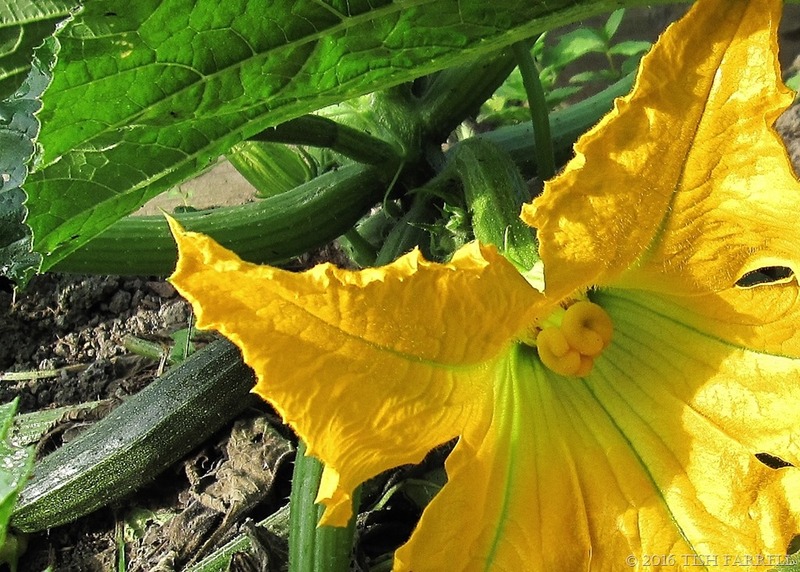 The courgette (zucchini) plants had broken out into multiple suns – each one big as a dinner plate. 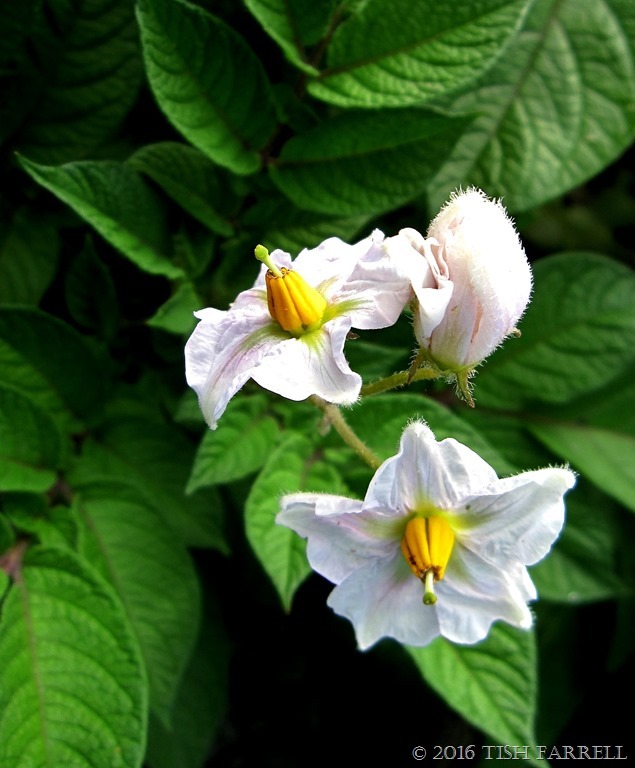 And then I spotted the potato flowers – I think they’re the French salad variety called ratte. (I couldn’t locate my plant label for spud leaves). Anyway aren’t they rather lovely? So much excitement up at the allotment, and all before breakfast. Who’d’ve thought it. P.S. 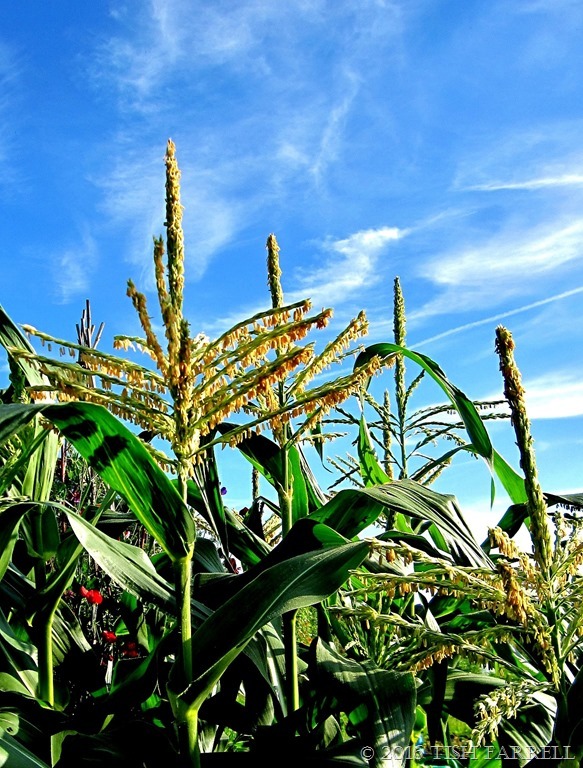 This post was inspired not only by my vegetables, but also by Jithin at Mundane Monday #69, and Jude’s edible Garden Challenge. 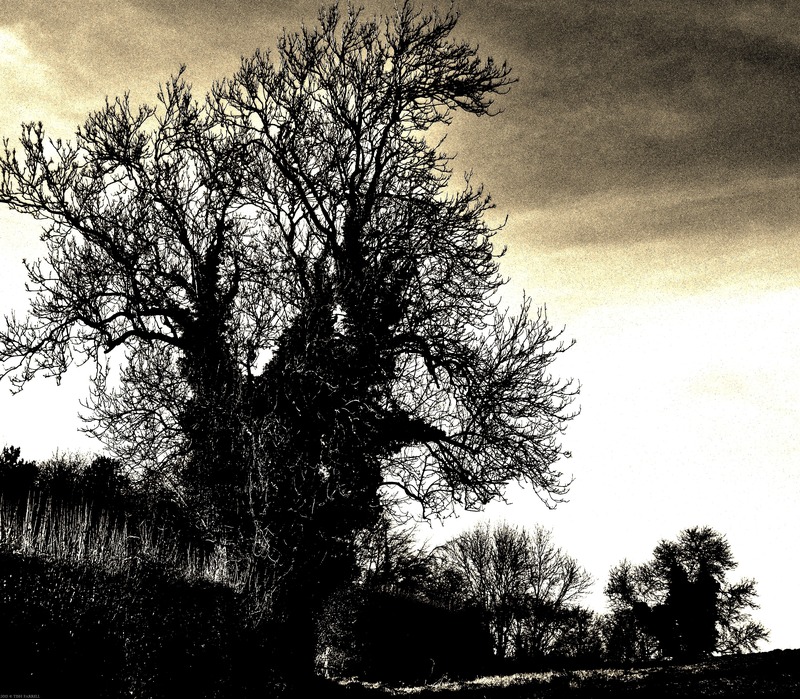 Please visit them for more inspiration and some very excellent photography. 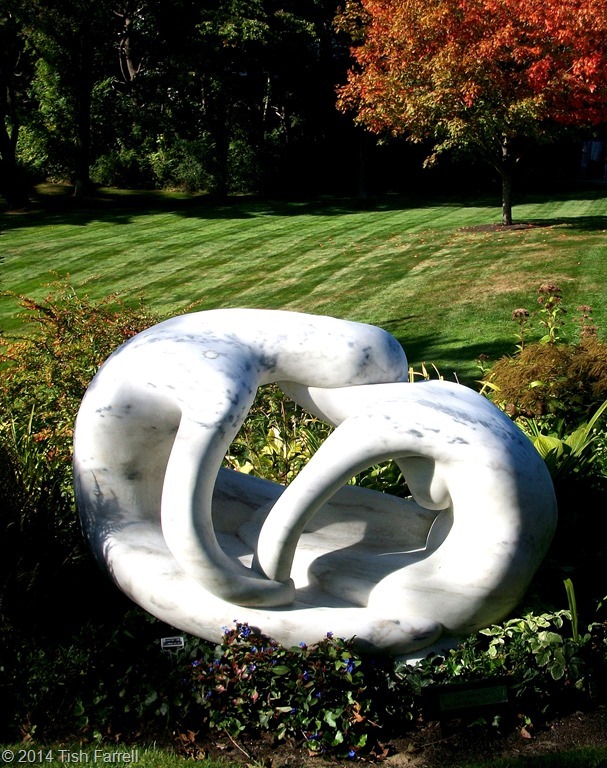 Cee’s ‘Circles and Curves’ challenge is giving me the chance to show again this work by New England sculptor Antoinette Prien Schultze. 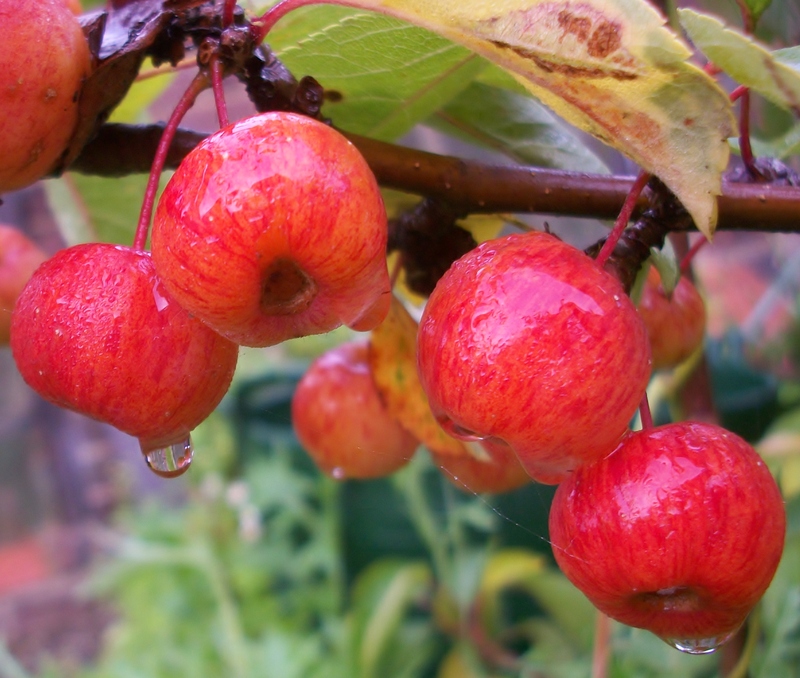 ‘Life Entwined’ is circular in every way – suggesting not only the cycle of human life and love, but also the turn of the seasons, the circle of time itself. It is made from Vermont Danby marble and weighs 4 tons. 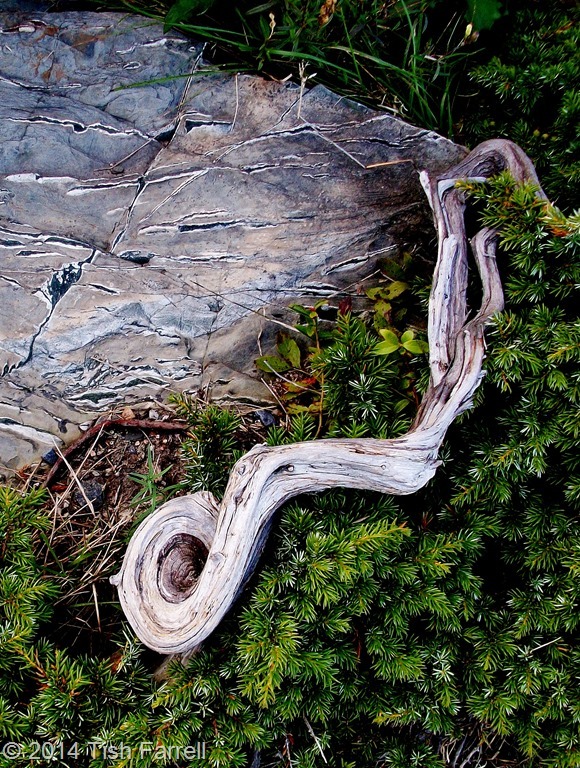 You can see it in the beautiful shore-side garden of the Ogunquit Museum of American Art in southern Maine. I have written more about the Museum HERE. 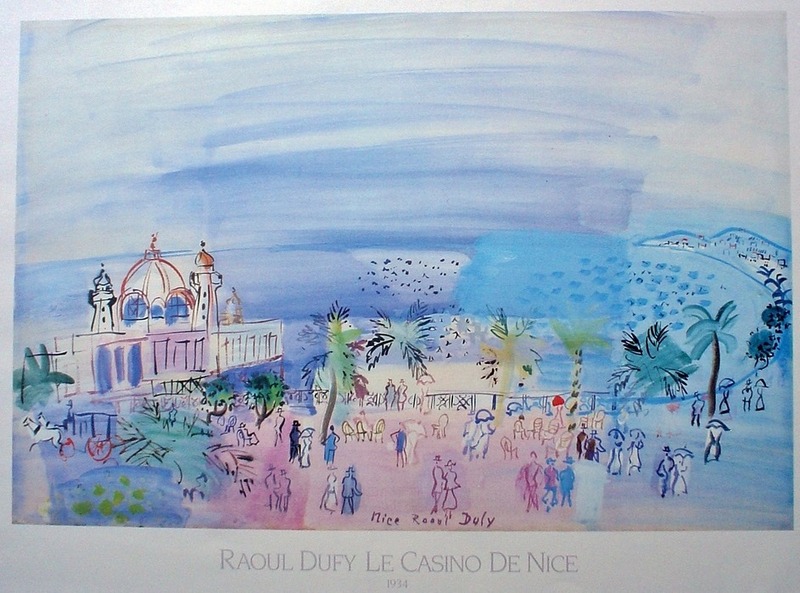 It is one of the most beautifully situated galleries in the world, and well worth a visit for the setting alone. Another fine thing about Ogunquit is the Marginal Way, a cliff top path along the rugged shore. It was here I found this natural sculpture which also fits the challenge. 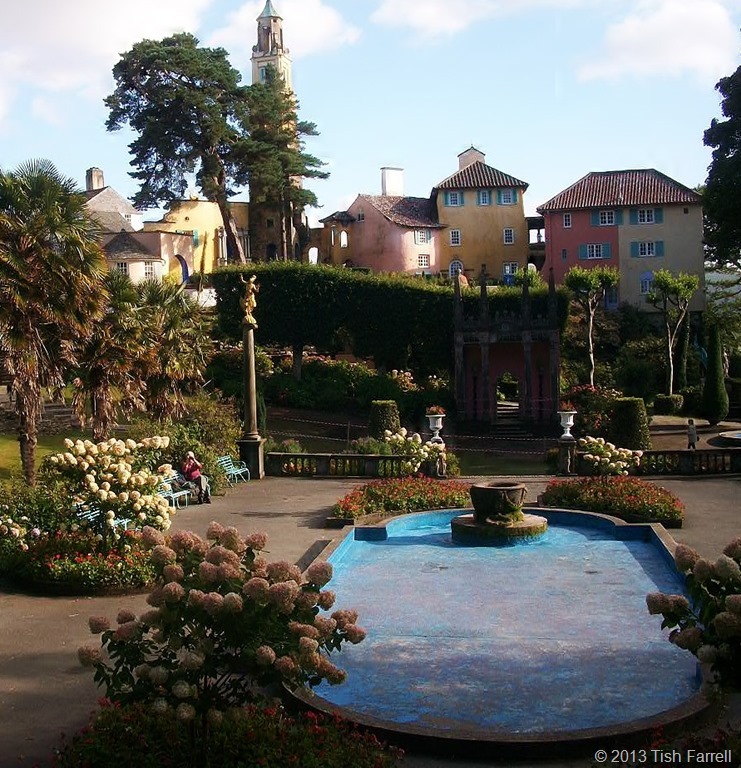 Surely only a wizard could have conjured this place – or so I thought, aged six, when we, the Ashford family first made pilgrimage to Portmeirion on the North Wales coast. “Cherish the past. Adorn the present. 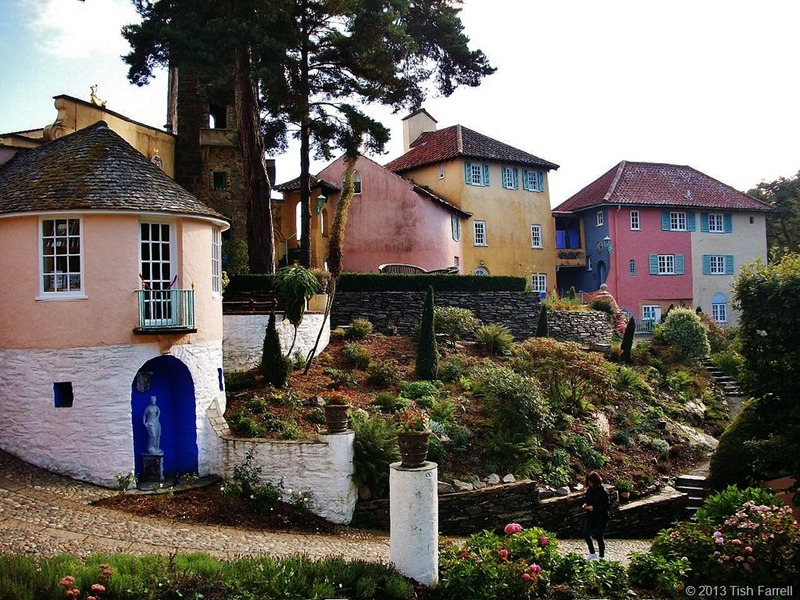 Construct for the future.” This was the life-long credo of Clough Williams-Ellis, the man who dared to build an Italianesque village on a beautiful Welsh headland. 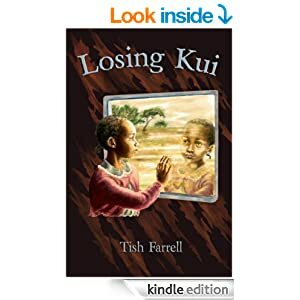 It was like stepping into a living picture book or melting through the mirror into Looking Glass Land. The houses were the rich, powdery, pastel shades of Loveheart sweets (does this strange confection still exist?). 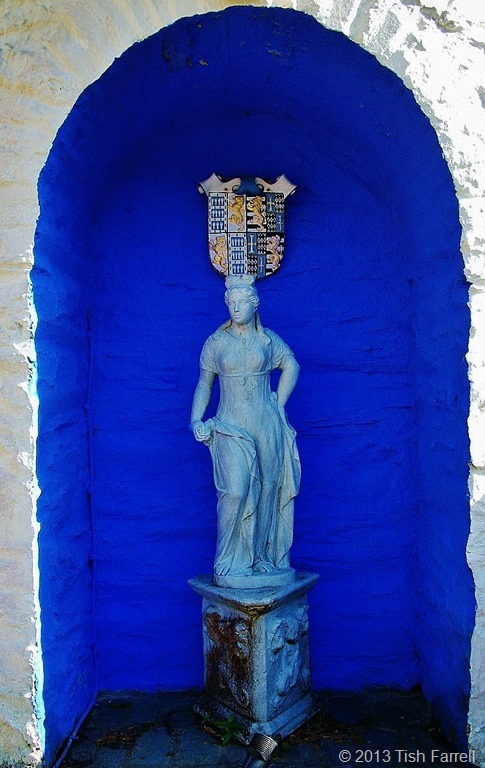 There were mythic frescoes in places were a child might least expect them, and best of all, a shell grotto that was just like the Little Mermaid’s deep-sea garden. 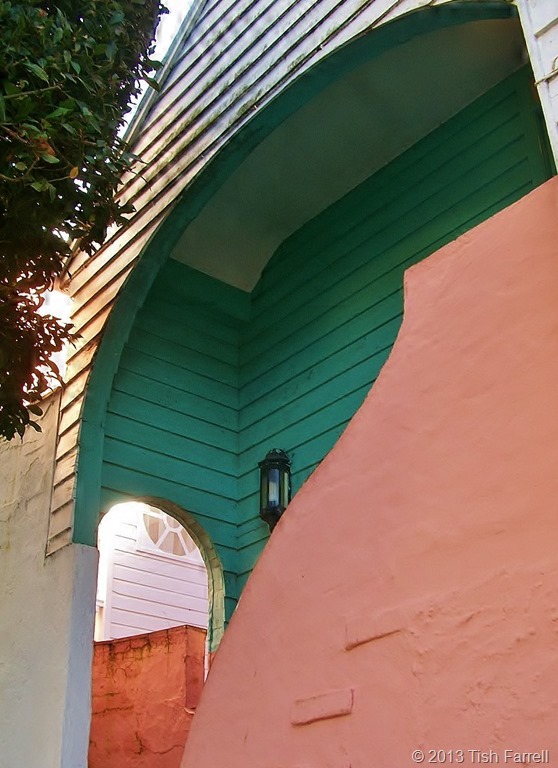 It was enchanting from the moment we stepped through the gatehouse entrance. 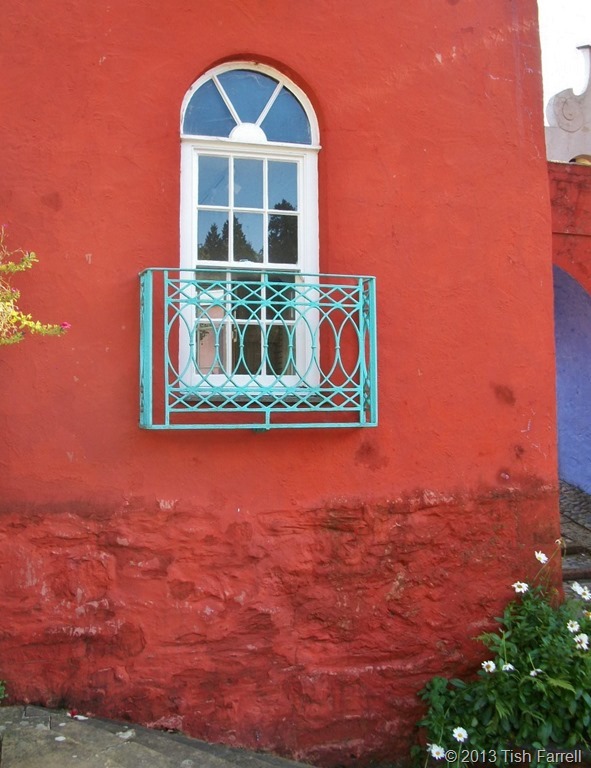 How could there be so much colour, so many decorative flourishes to catch the eye, so many mermaids – here on a wooded Welsh headland with the lowering grey sky above? And the weather was gloomy on that first visit; I was forced to wear my dull brown mac over my pretty summer dress. The photos taken that day show me looking pensive and withdrawn. 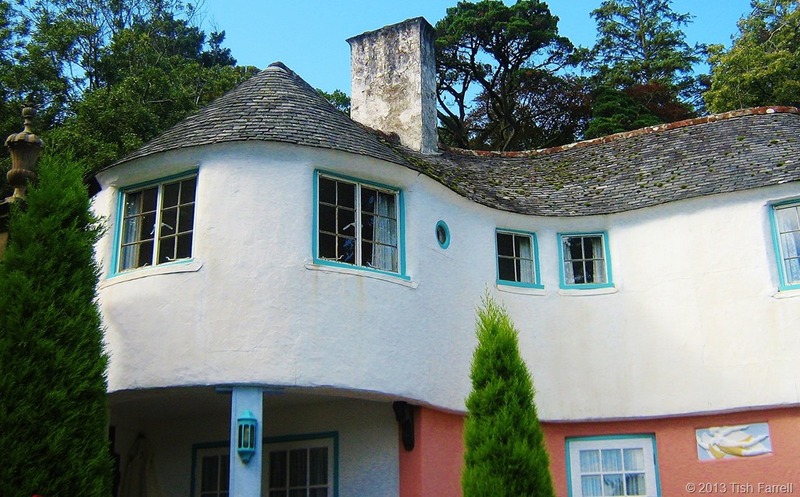 But I did love the place, and was quick to register the tones of admiration in my parents’ voices whenever they uttered the name of the man who had conceived this folly to beat all follies – Sir Bertram Clough Williams-Ellis, self-taught architect and champion for the preservation of rural Britain. 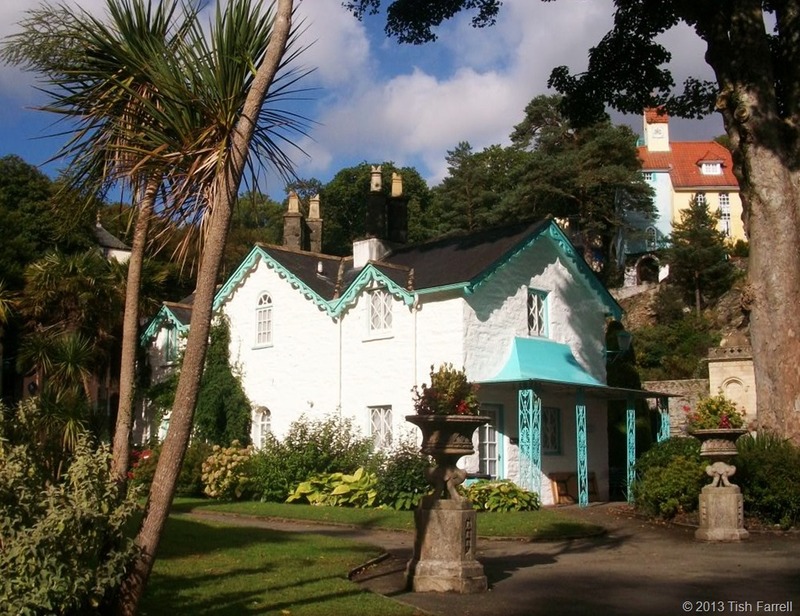 That house became the Portmeirion Hotel, and some of its associated cottages were integrated in the village plan. The two previous owners from the 1850s onwards had planted the site extensively with specimen oriental trees and exotic plants, many of which still survive. 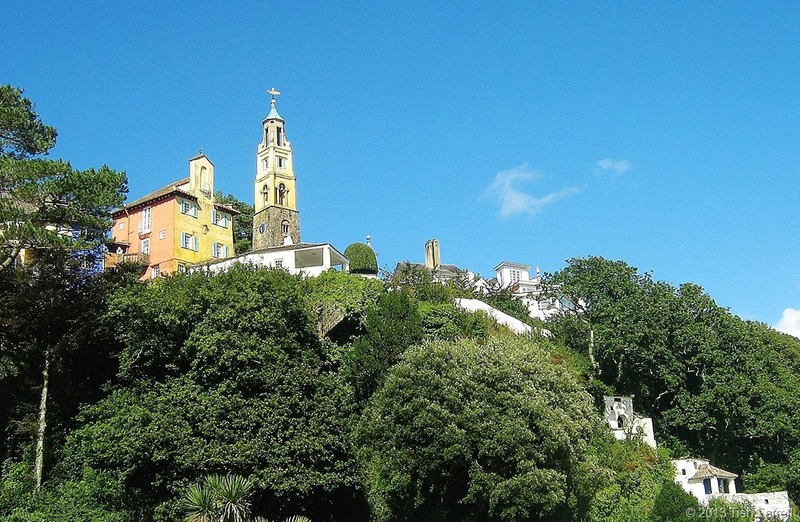 The planting, along with the building of a close-knit hillside village continued from 1925 under Clough’s direction for the next fifty years. Many of the original plans still exist. 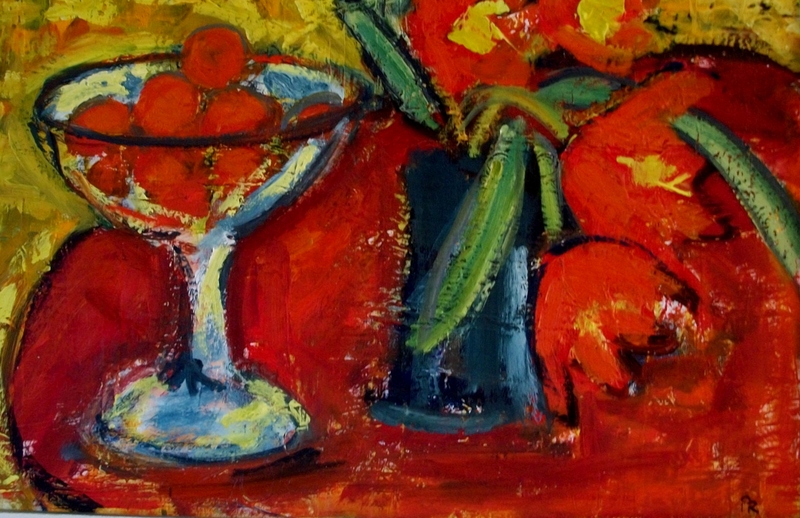 The first phase of development was influenced by Clough’s interest in the Arts and Crafts movement. Later buildings followed Classical lines. 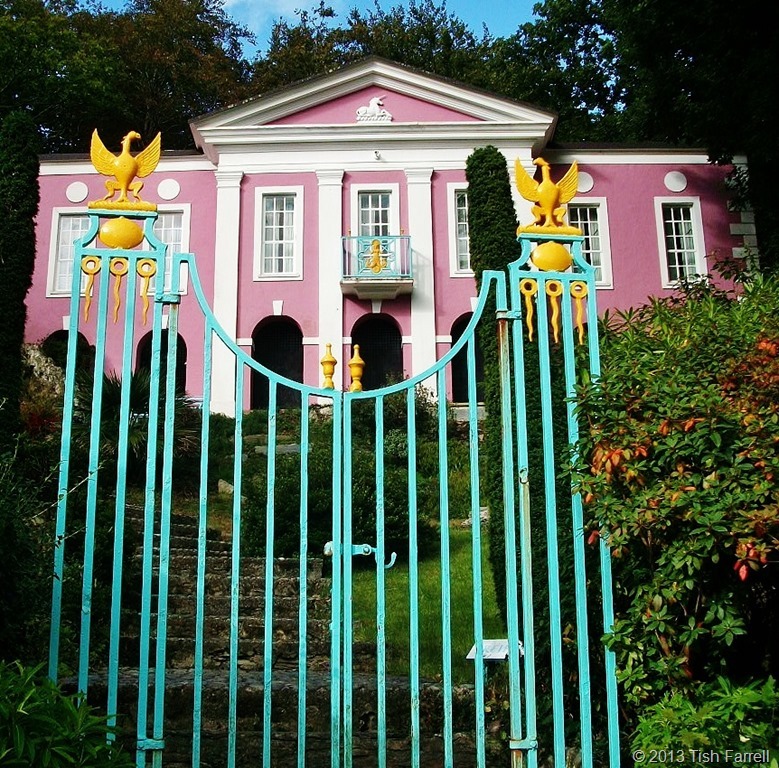 He also made use of what today we refer to as architectural salvage, and indeed he called Portmeirion “a home for fallen buildings.” With this architectural bricolage are references to some 5,000 years of architectural history from around the world. Critics of modernist inclination thus tend to overlook Clough’s contribution to architecture. This is a mistake. 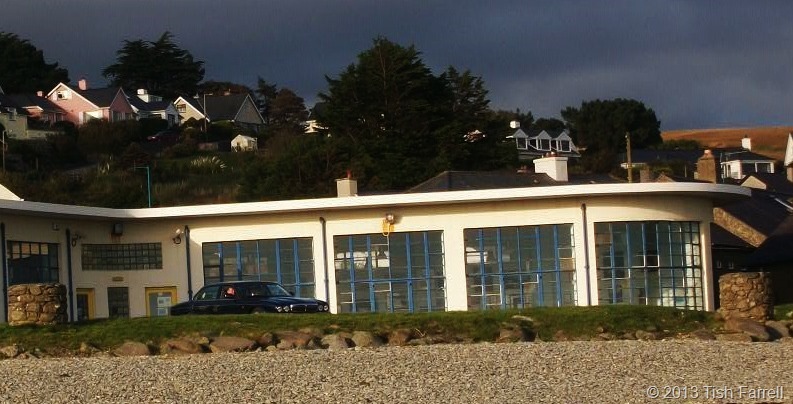 On our most recent visit to Wales we discovered his Caffi Morannedd Cafe at Criccieth, a few miles north of Porthmadog. 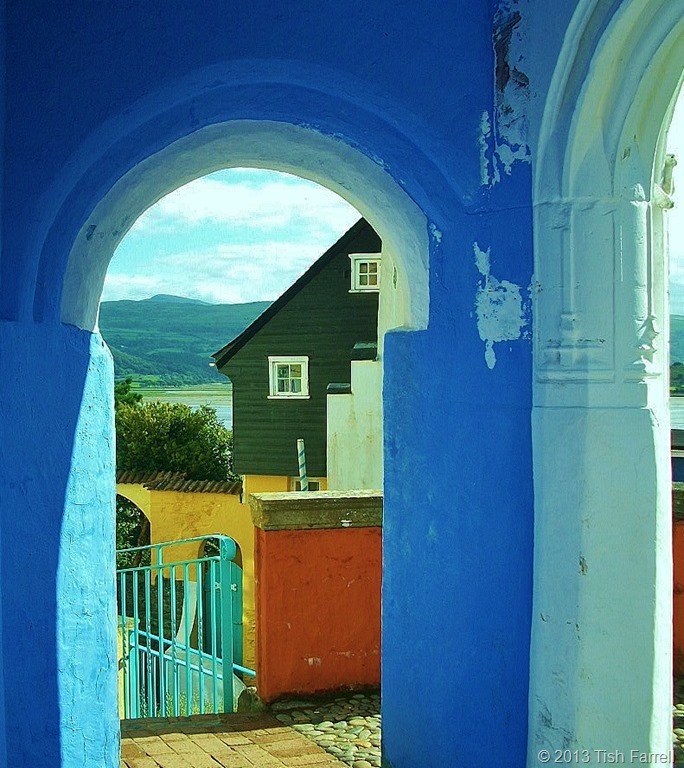 Of course it was at Portmeirion that I first learned there was such a thing as architecture, and that this was something altogether more momentous and wonderful than drawing pictures of “our house” as one endlessly did at primary school. And oh how fine it would be if English planning authorities were ruled by such objectives, instead of developer aspiration. 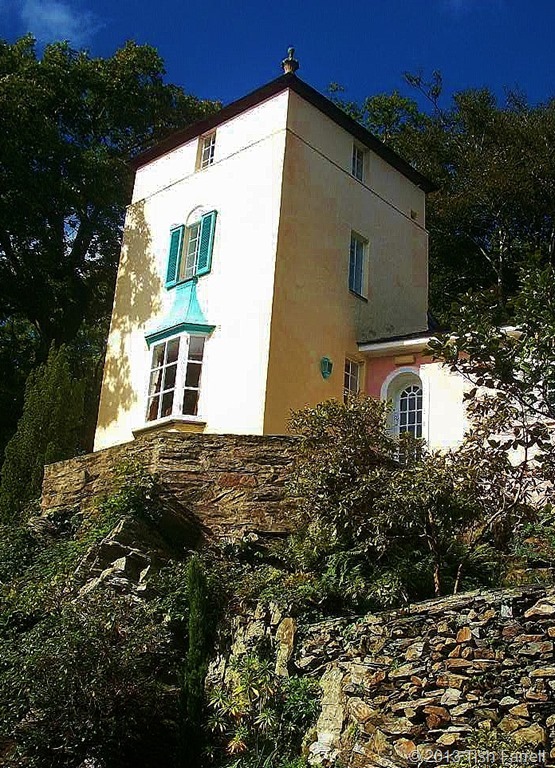 As a child, I liked the way the houses seemed to have grown out of the rocky hillside, and that there was a mysterious “smugglers’ path” through a tunnel of overgrown rhododendrons that led to a secret sandy cove and the little tin lighthouse on the headland. It was all such fun, and created by a man who, like any magician, or indeed a wizard, wanted everyone to take delight in his illusions. 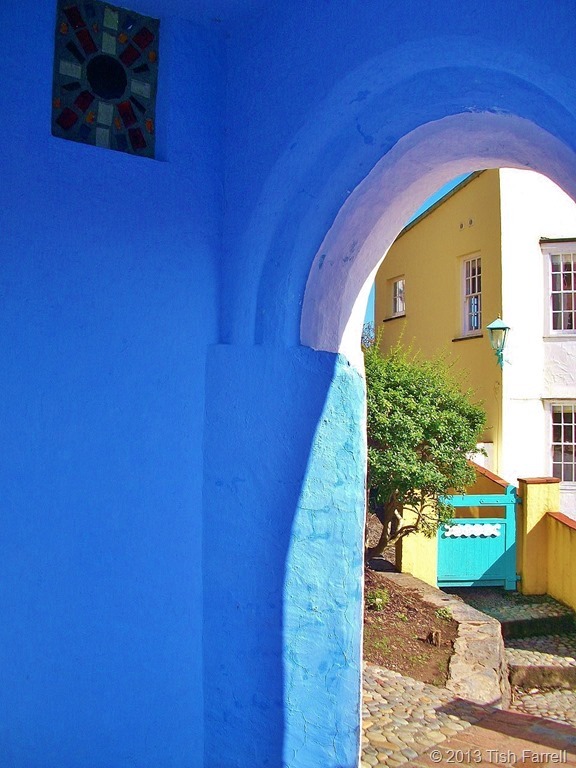 And now, since this post was prompted by Sue Llewellyn’s Word A Week arch challenge, here are some more views of Portmeirion – naturally with arches of all kinds in mind – all taken last week in Wales under mostly sunny skies. 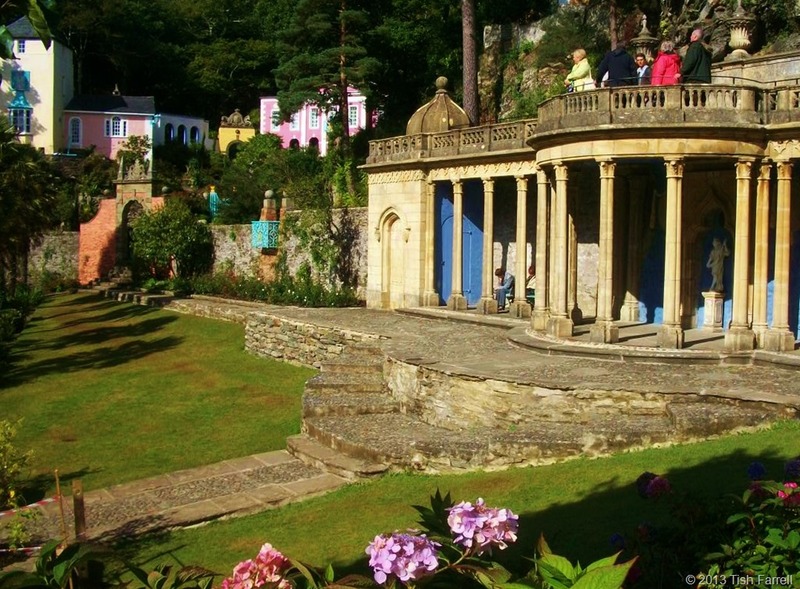 In the foreground, behind the palms, is the colonnade from a Bristol bathhouse built in 1760. Another view below. 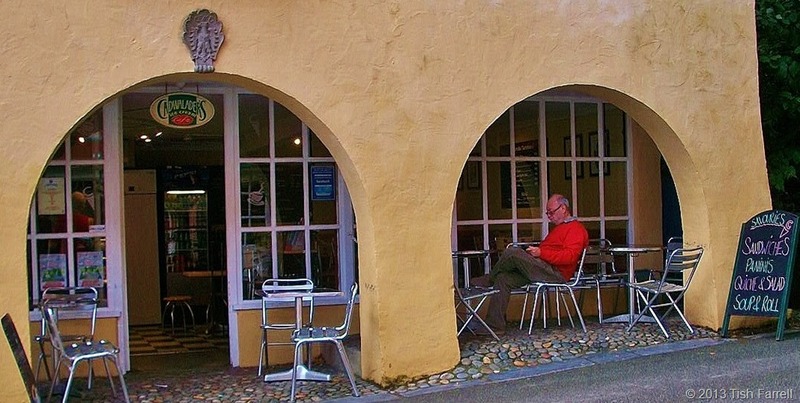 There are cafes and restaurants in the village, and cottages to let. 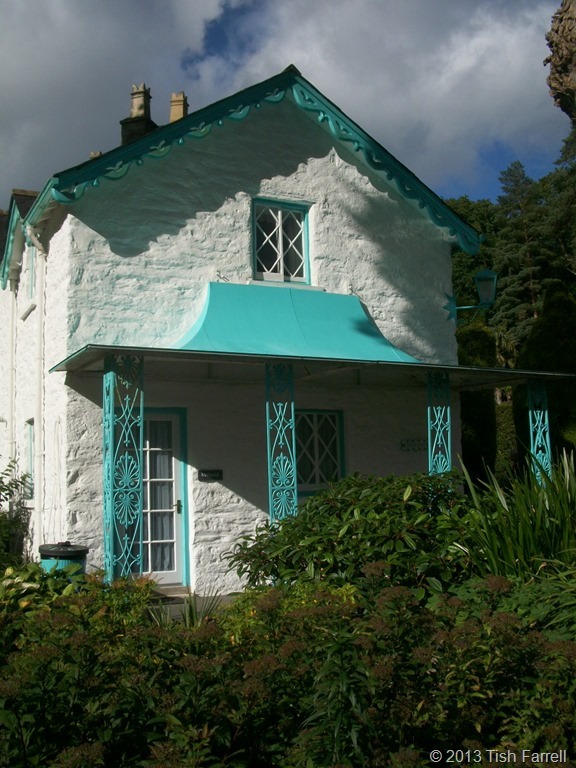 Mermaid Cottage was already on the site when Clough bought the land. 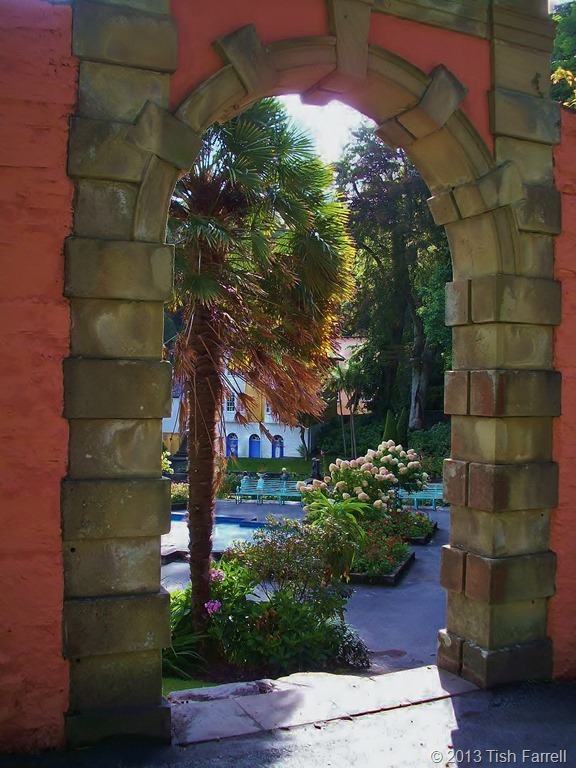 It was built in the 1850s, and Clough adorned it with the canopy and added the palms for the Mediterranean look. 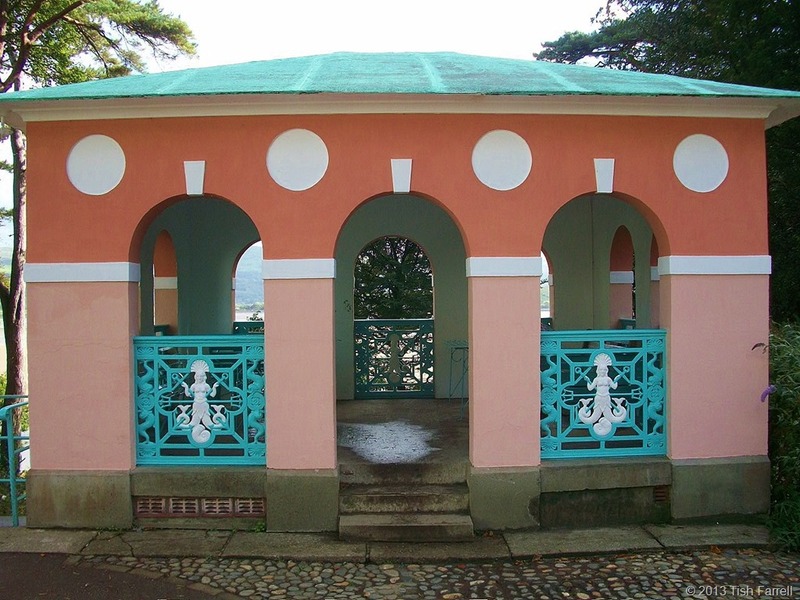 The Hercules Gazebo, complete with cast iron mermaid panels, serves to disguise a generator. 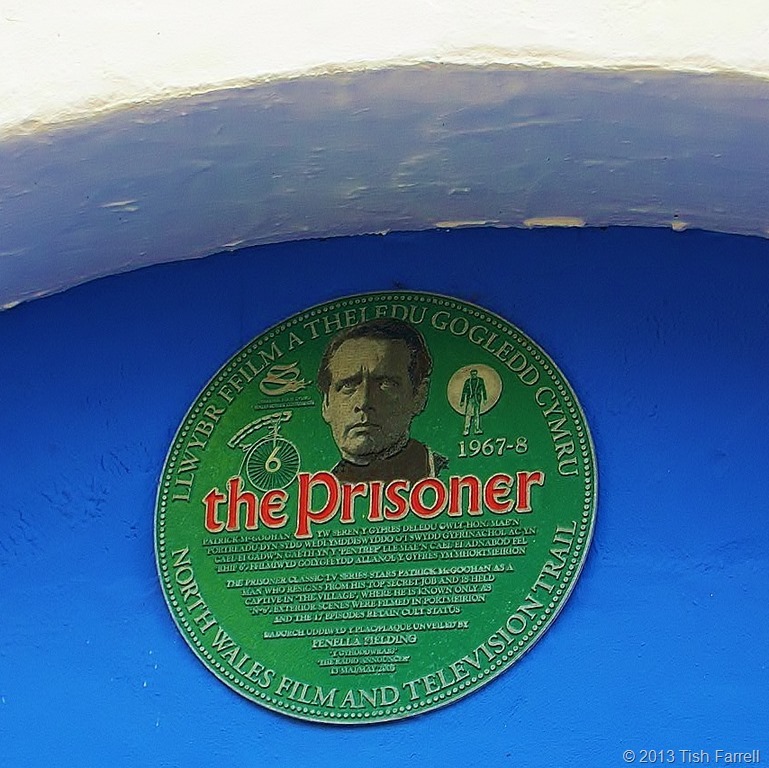 The Prisoner, the cult TV series of the late 1960s starring Patrick McGoohan, was filmed at Portmeirion. 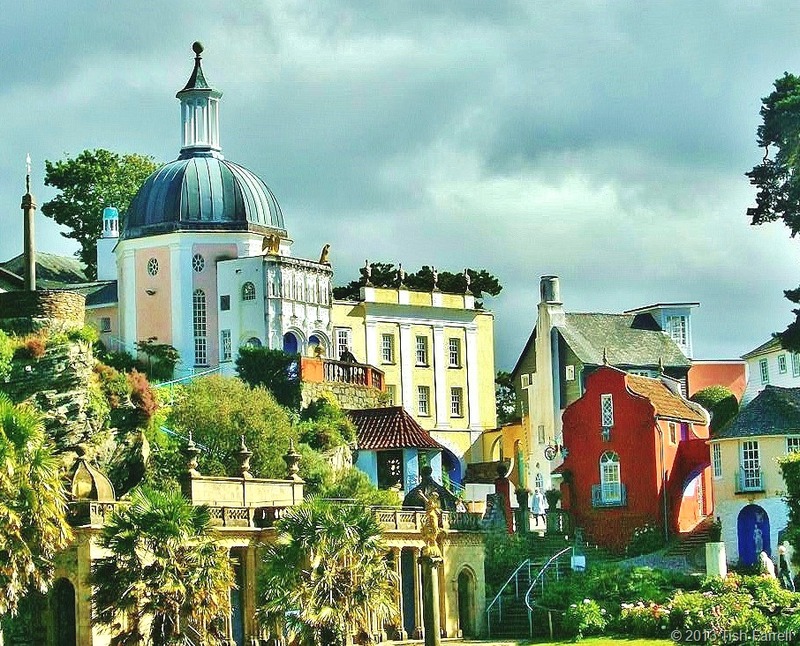 It put Portmeirion on the map and its association with the place is still celebrated. Archway to the Piazza and (below) the Piazza itself below. 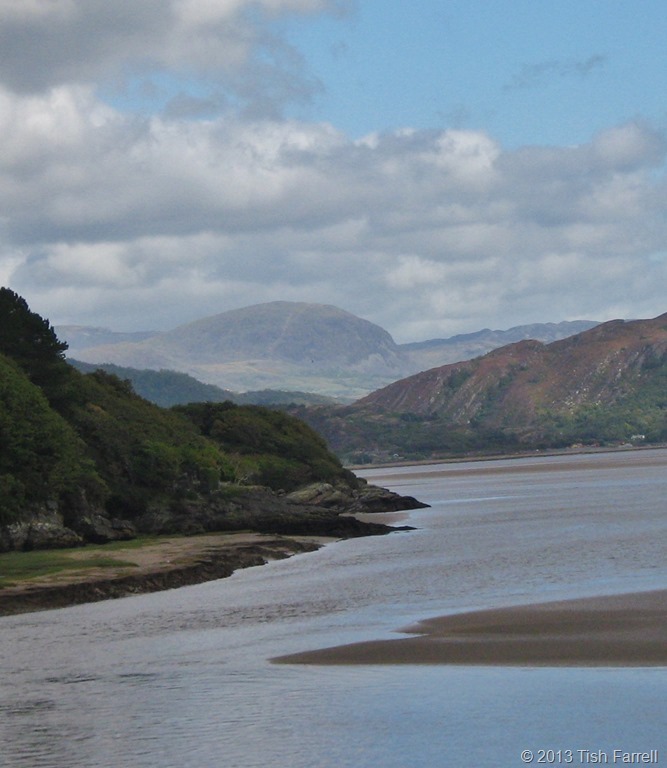 The village from the estuary. 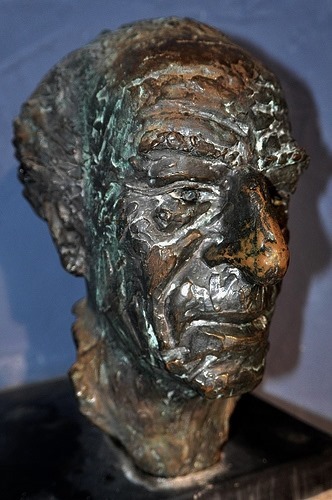 A man who lived creatively in all senses, and whose work has delighted millions.